"Volunteering with Conservation Fusion in the Kianjavato Commune was a wonderful and exciting experience..."
Each day at Kianjavato was unique, but, generally, Lalaina and I would travel to two or more schools doing one of two things: distributing coloring books or evaluating students who had previously received coloring books. The children at these schools were unlike any group of kids I have ever worked with. They were amazing! Walking into the classroom, I could immediately understand one thing—they were here to learn. Everyone was polite, receptive and willing to participate. During all these school visits and evaluations, a project I designed on the oxygen cycle was incorporated into the lesson. In each class, the lesson would begin with me introducing myself in English and Lalaina translating for me in Malagasy, as she would do for the entirety of the presentation and art project. Afterwards, I would retire from the front and roam around the classroom taking pictures of the enraptured children as Lalaina spoke. My favorite part of this was taking a picture of a child then unwrapping the camera from my neck and handing it to them so they can see the photo of themselves. Whenever I did this, they would undoubtedly scrunch up their shoulders and neck, offer me a shy smile, proceed to burst out in giggles and then peer a little closer for better examination. I found this technique to be a great way connect to the children I was working with. 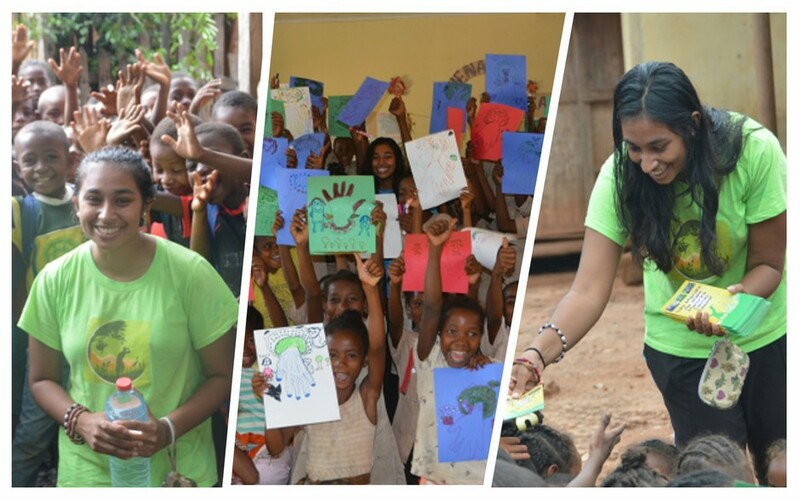 Unfortunately, I do not speak Malagasy and so it is difficult for me to form relationships with the kids and some of the adults that I am working in the way that I so badly wish to do. Throughout my experience, I realized more and more the importance of small act such as these. Enthusiastically shaking people’s hands, making goofy faces, laughing a lot or even just smiling warmly can be powerful because it presents you as someone who is kind, happy, and approachable even if you have nothing to say when they approach you. After a while, the most of the children knew my name and they would wave and smile at me whenever they saw me around. Having those connections made me feel like I was not someone who was taking photos and observing an amazing place, but like I was actually a part of the experience. Forming connections with people in Kianjavato transcends my work with children. Throughout my time in the field, I was offered plentiful opportunities to speak to and engage with others. Meal times were a consistent and plentiful opportunity to spend time with people. Generally, I ate lunch with Lalaina and the other permanent members of the MBP site and breakfast and dinner with the six other volunteers on the site who worked for MBP. Everyone who worked at MBP was lovely—they were friendly and inclusive. In addition, I had a great time spending time with the other volunteers who were hilarious and super nice. Furthermore, there were always community activities, ceremonies, parties, and other events going on throughout my time there which that I was never lonely nor bored! 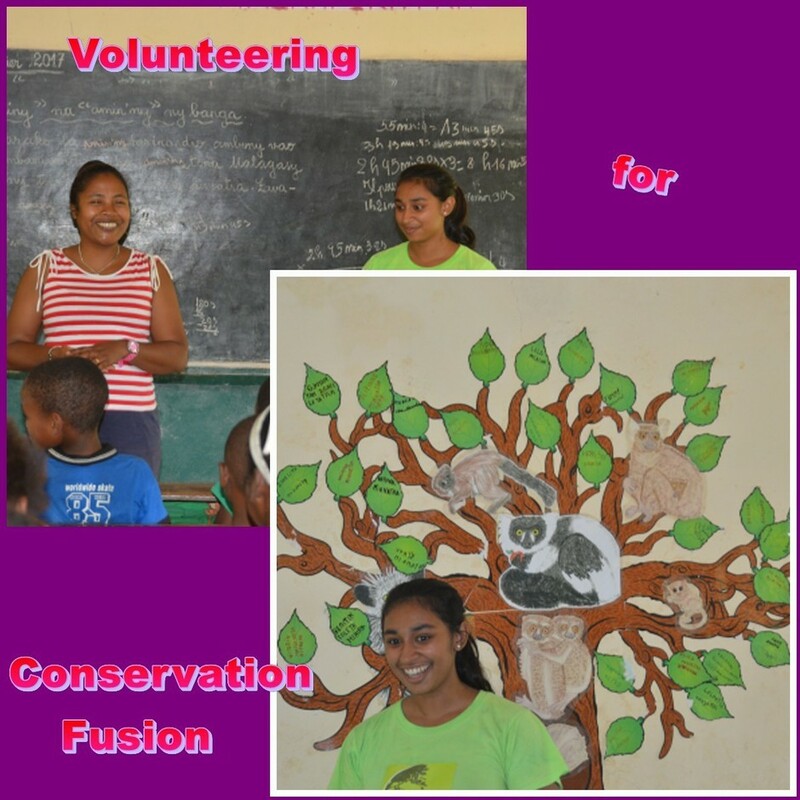 Conservation Fusion Team takes this opportunity to express our sincere gratitude and thanks for Thilini Weerakkody for her volunteering time with us making a difference in her own ways in the works we do. A lot of love. Brief but very precise info… Thank you for sharing this one. A must read article! Really informative and very well written!! I have to express my appreciation to the writer just for rescuing me from such a matter. As a result of looking throughout the world wide web and finding techniques which are not helpful, I thought my entire life was well over. Existing minus the strategies to the issues you’ve resolved by means of this site is a serious case, as well as the ones which may have in a wrong way damaged my career if I hadn’t encountered your web site. The competence and kindness in maneuvering every item was tremendous. I am not sure what I would’ve done if I hadn’t come across such a stuff like this. I am able to at this moment relish my future. Thanks very much for your high quality and results-oriented help. I will not think twice to refer your web site to any person who would like counselling on this problem. Thanks a bunch for sharing this with all of us you actually know what I’m excited to find this page. Thank you for organizing such an amazing and informative blog to read. Good Luck. For reading <a href="https://relationadvisors.com/god-give-me-strength-quotes/">God give me strength quotes</a> for more detailed.